I’m lazy this year. So instead of the full get up, I decided to wear a mask. 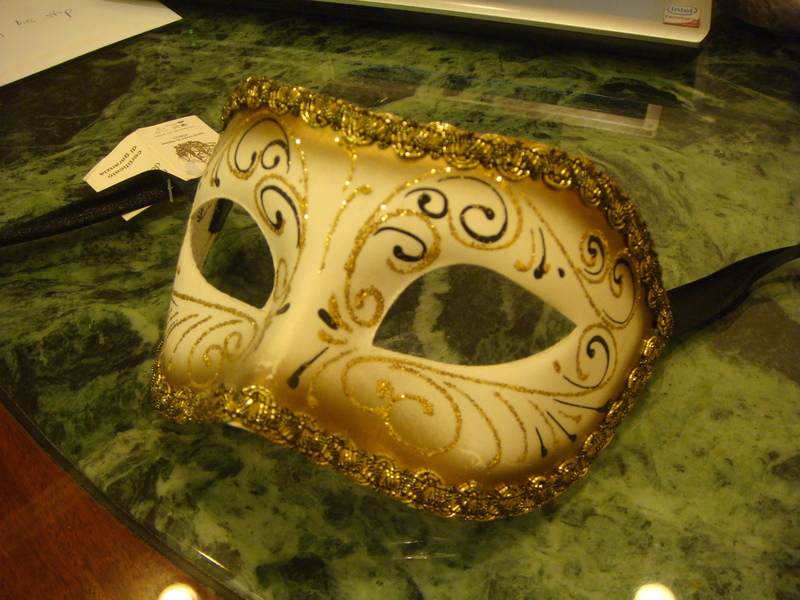 Initially, I thought that I could finally use the mask I got from Venice. But then my cousin told me I looked like a fish wearing it….. and so I got my friend M to help me get this. Except now I’m a bit concerned about the peacock feathers. I didn’t quite expect there to be so much of it! What will I wear it with? 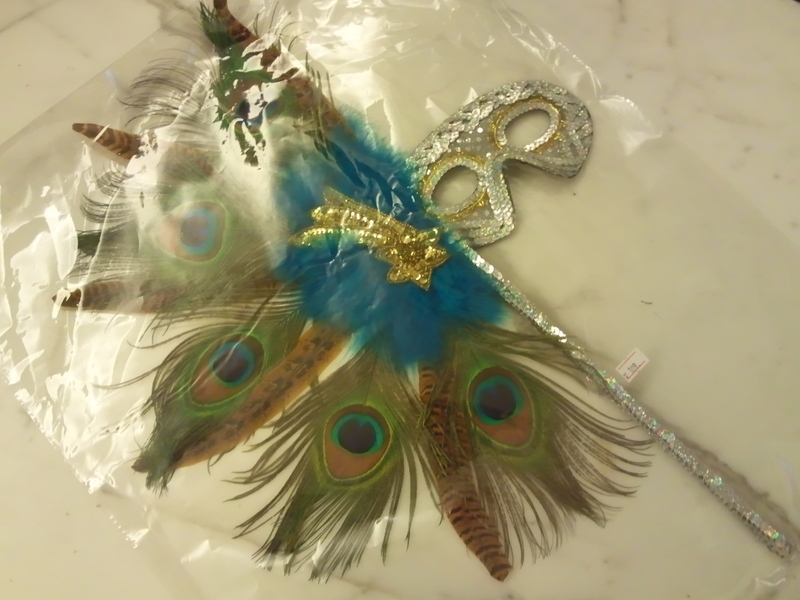 I DO love the silver sequins and the blue feathers though. I’m tempted to cut the feathers off…. but then the point of Halloween IS to be over the top. Unfortunately, in my hurry to leave work today, I left the mask at the office, so I can’t play around with it tonight. Thoughts?